How do we apply for membership? Cycle 6 of Asia's Next Top Model may be over (congratulations again on your win, Dana Slosar! ), but that doesn't mean the fun ~and the parties~ are done for some of its contestants. 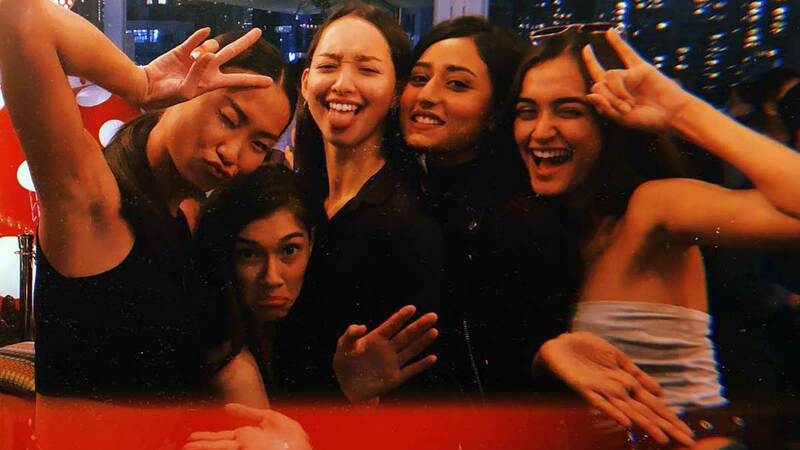 We'd like to introduce you to the "Loud Girls Only" squad, featuring AsNTM alums Dana, Jach Manere, Jesslyn Ilkom, Rubini Sambanthan, and Pim Bubear! ...and recently toured Hong Kong and had the time of their lives. They also have their own Insta account as a ~*squad*~ now! The group even dressed up for Halloween this year and they all looked fab, as always. We've got Pim as Cruella de Vil, Jach as Poison Ivy, Dana as Enchantress, and Jesslyn as The Joker! Guess what? Rubini wasn't able to go on their most recent trip, so Jach photoshopped her in one of their photos. "I know, I tried. Just shush. I'm a great editor, seems legit," she said in her Insta caption. We really love this girl's humor! Looking at their photos makes us miss our own squads, TBH. Maybe they could adopt us for a day! Jach? Dana? Pretty pleeeease.